Prime Minister Andrew Holness (left); former Prime Minister, Edward Seaga (centre); and Minister of Science, Energy and Technology, Dr Andrew Wheatley, in discussion after the unveiling of ‘The Edward Seaga Building’ sign at the corporate office of Petrojam Limited located on Marcus Garvey Drive in Kingston on Thursday. 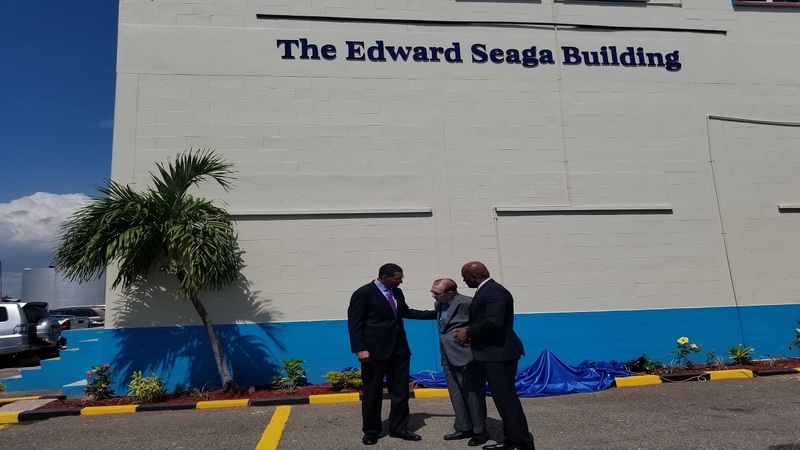 The corporate office at Petrojam’s refinery on Marcus Garvey Drive in Kingston was named after former Prime Minister Edward Seaga in an official ceremony at the facility on Thursday. Minister of Science, Energy and Technology, Dr Andrew Wheatley, who said it was Seaga’s foresight that resulted in the government purchasing the refinery from Esso in 1982, spearheaded the initiative. Dr Wheatley confirmed that the government along with international collaborates have seen signs of Jamaica having oil inland on the island’s north coast and the hope is that this will materialise to help the island’s economy. He added that there are plans underway to upgrade Petrojam to enable the facility to produce 50 barrels of refined products each day, up from 35,000. According to the energy minister, this was part of the growth that Seaga had in mind when he purchased the refinery, with the foresight of using Petrojam as a catalyst for development. Seaga’s protege and current Prime Minister, Andrew Holness, called Seaga a father of the nation and listed a number of institutions and national documents that he was an integral part of. Among those noted by Holness were the Jamaican constitution, Kingston waterfront, the stock exchange, the Social Development Commission, Human Employment and Resource Training Trust (HEART) and the Jamaica Cultural Development Commission (JCDC). 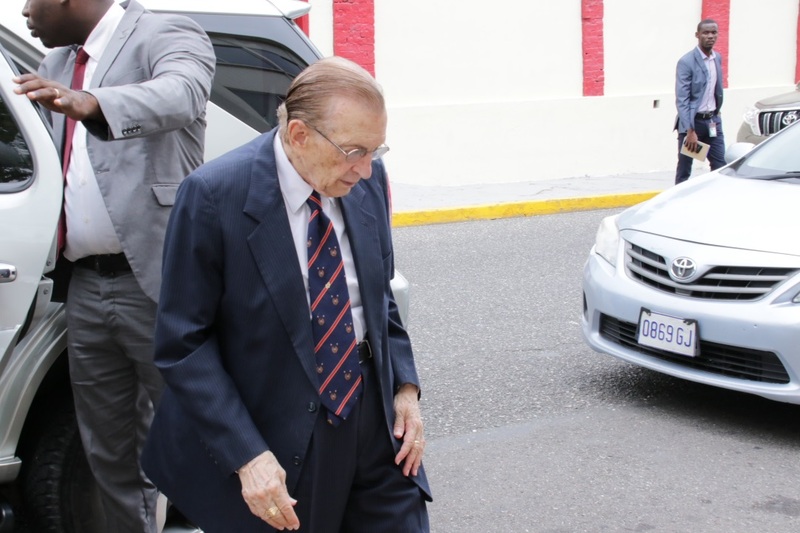 According to Holness, his government is looking to build a monument in honour of the work that Seaga has done for the nation, so that his memory does not fade with future generations. 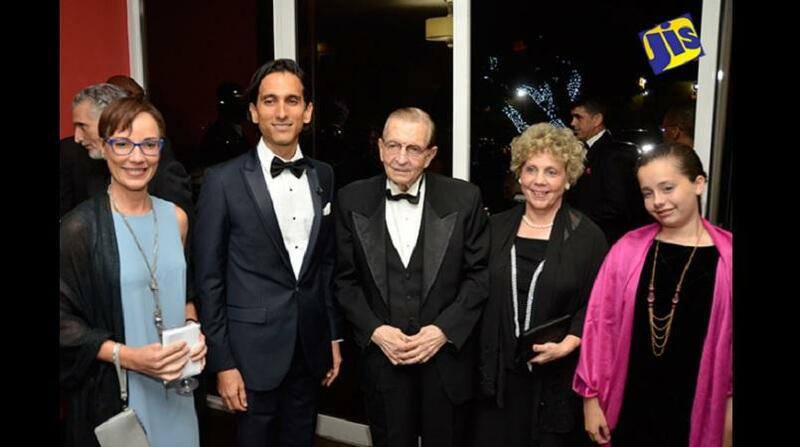 Seaga in response jokingly said that he doesn’t believe he deserves the building named in his honour…”but will take it anyway”. According to Seaga, the opportunity to buy the refinery, came about after Esso wanted to raise the price of petrol. He said with the government then having regulator powers, he asked that the company produce the accounting books. Seaga said, after going through the books, the government decided that Esso had no reason to get a price increase and turned them down. He said, in a move to try to force the government’s hand, Esso then said that they wanted to sell the refinery and asked for a sum that they thought would be out of the reach of the government. He said that after being told the amount, his only response was, “buy it”. 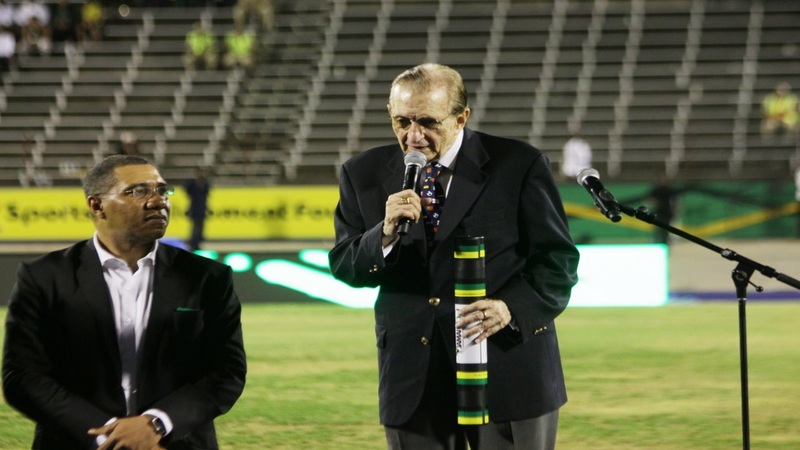 Seaga was also treated with a dance by the Tivoli Dance Troupe entitled Homage, which used the I-Threes song ‘He’s A Legend’ and a performance from recording artiste, Nesbeth.